The stunning views afforded by this exceptional home begin upon arrival at 129 Morning Rise Lane. 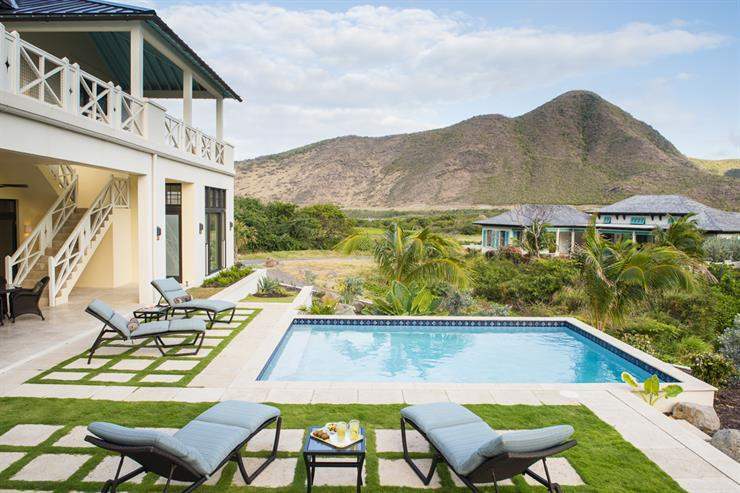 The harbor, the sea, the beach, and Nevis Peak are on glorious display from the covered trellis, entry garden, and extraordinary sunset pavilion. The stunning views afforded by this exceptional home begin upon arrival at 129 Morning Rise Lane. 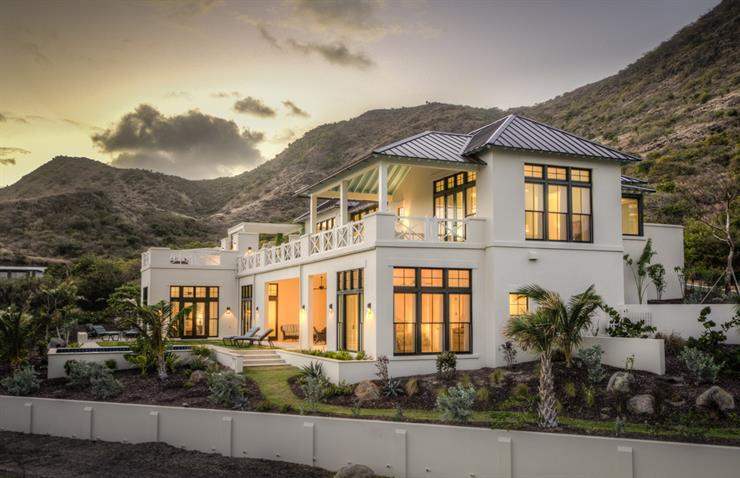 The harbor, the sea, the beach, and Nevis Peak are on glorious display from the covered trellis, entry garden, and extraordinary sunset pavilion. 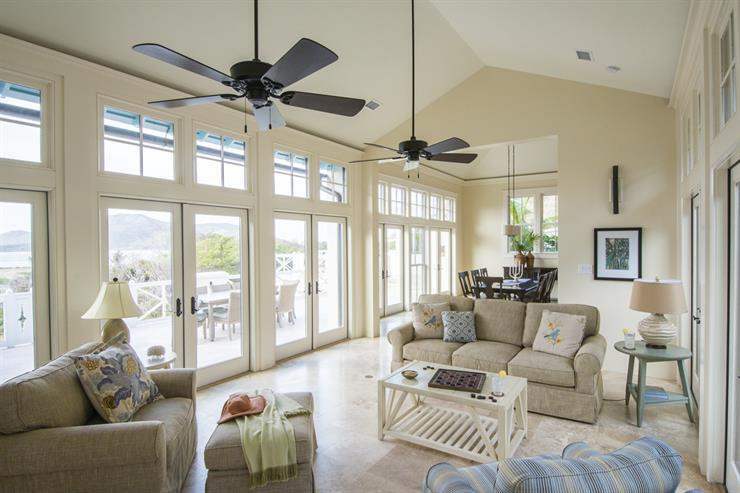 Vaulted ceilings and expansive windows bring a remarkable sense of volume to the living areas inside this island estate. 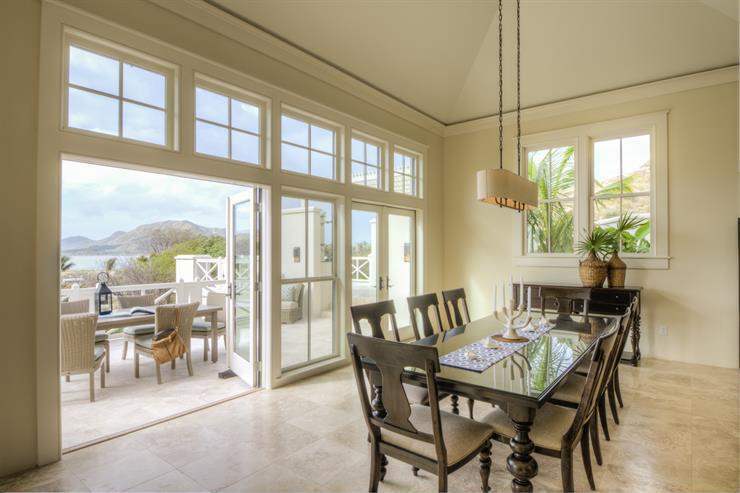 Across 3,948 square feet of refinement, an outdoor living area, floor-to-ceiling windows, and double French doors partner to beckon the outdoors in. 129 Morning Rise Lane masterfully marries indoor elegance with outdoor ease and features including a wet bar and media center in the alfresco living space. 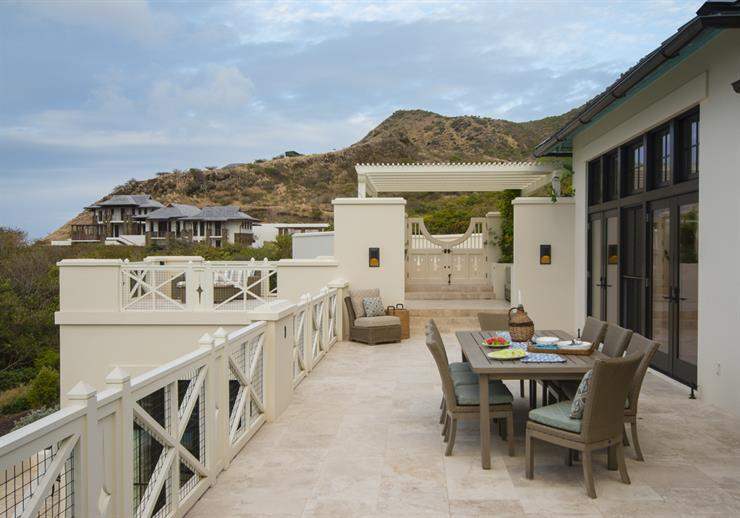 A pool terrace graced with lounging benches claims prime placement for stunning Caribbean views. 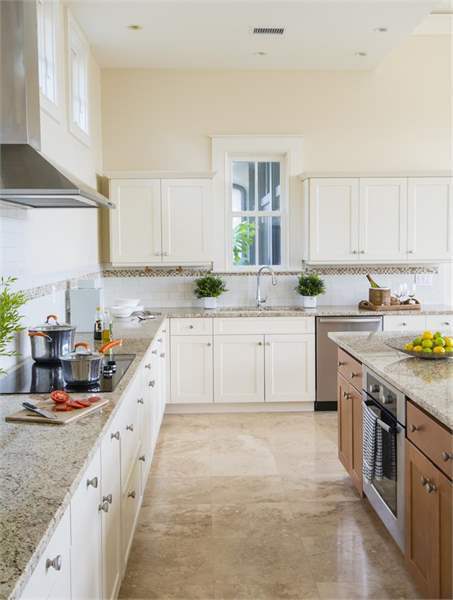 Both the homes upper level, comprised of the master suite and primary living areas, and the lower level, replete with three guest suites, capitalize on radiant natural lighting. 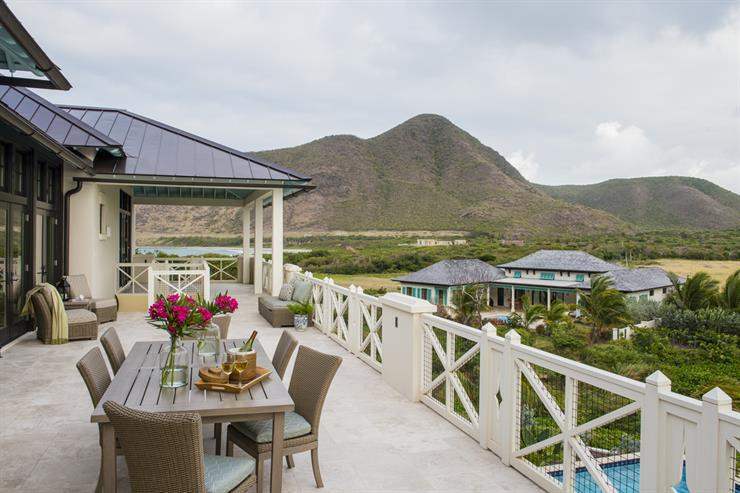 Additionally, each suite proffers direct access to a generous terrace overlooking Sandy Bank Bay and dramatic mountainscapes.